1671 -- Lower Norfolk Co. Deed Bk E, p 90. To all people to whome these presents shall come I John Whyte sends greeting & know you that I the sd John Whyte for and in consideration of the some of twenty five hundred pounds of good tobacco & cask for which I have recd. good caution for payment have bargained aliened sould enfeofed and confirmed & by these presents doe bargain alien sell enfeofe and confirm unto Henry Culpepper a parcel of land abt. Two hundred twenty & five acres more or less situate lying and being upon the north side of Little Creek joyning upon the land of Tho: Everidge wch said land was in the possesion of my father Tho: Whyte. To have and to hould the sd land wth all priveleges and immunitys whatsoever unto the sd. Henry Culpepper his heyres or assigns for ever & I the said John Whyte do bind me my heyres executors or adminstrators in the full vallue there of that the sd Culpepper his heyres or assigns shall quietly occupie possess and enjoy the sd land without any lett trouble or hinderance from the the sd Whyte or any one by or from under me and doe hereby warrant the [?] of the sd land unto the sd Culpepper his heyres & assigns for ever and shall for ever defend the same. In witness whereof I have herunto sett my hand & seale this 15th day of April 1671. Biography* � Henry may have been the son of John Culpeper the Merchant, who was the son of John Culpeper of Astwood in Feckenham and Ursula Woodcock, but this is far from being proven. While there is some evidence to suggest that the name of Henry's father was John, it has not been possible to prove that this John was the one just mentioned. But he seems to be a good candidate, since he was the right age to have been Henry's father, was known to have been abroad from England, and belonged to a family with other connections in Virginia. It has also been suggested that Henry might have been a son of Thomas Culpeper of the Middle Temple, brother of the above John the Merchant. Although several of Thomas's children are known from baptismal records in England, one cannot necessarily conclude that the list of known children is a complete list, since neither Thomas nor his wife left a will. It is also possible that Henry might be related to Sir Edward Culpeper of Wakehurst, Knight who signed the Third Virginia Charter in 1612. A fourth possibility is that Henry of Lower Norfolk was the Henry Culpeper of London baptised in Westminster Parish, at Saint Margaret's Church, London, England, 20 Feb 1632, the son of William Culpeper of London, whose further ancestry is unknown. At one time it was speculated that William may have been a member of the Bedgebury Culpepers. Col. Thomas Culpeper of the Bedgebury family was buried at St. Margaret's Church, Westminster, London, in 1708. The given names used in the Bedgebury branch of the family are similar to the names used in early Virginia, such as Henry, James, Thomas, William, Elizabeth, Mary, and so forth. If William Culpeper were one of the Bedgebury Culpepers, then all four of the possible fathers for Henry would have been related, with their most recent common ancestor being Walter Culpeper of Goudhurst, Bayhall & Hardreshull. DNA testing has proven that the Culpepers of Barbados, the Culpepers of Puerto Rico, the Colepepers of South Africa, and the Culpepers of India and Australia are all closely related to each other, but they are not related to the American Culpeppers, for whom Henry is the progenitor. Further, the Culpepers of Barbados have been proven through traditional genealogical research to be descendants of William Culpeper of Hunton and Wigsell, a great-grandson of Walter Culpeper of Goudhurst et al. (c) Henry was the individual baptized at St. Margaret's London, but his father William of London was not a Bedgebury Culpeper. Whatever his ancestry might have been, Henry was probably born in England, perhaps around 1633, and came to Virginia as a young man, in May 1653 or prior. One cannot be certain of the exact date of his arrival, as Henry apparently paid for his own voyage, and then sold his claim to 50 acres of land (his headright) to Captain Nathaniel Hurd. He might have arrived some time prior to selling his headright, perhaps even years earlier. There is no evidence that Henry paid for his voyage by becoming an indentured servant to Captain Hurd. Only five years later (1658) Henry is mentioned as a Planter, and so seems to have been someone of means. On 7 Dec 1658, "Henry Colepepper, Planter" sold a cow in Lancaster Co., VA (Virginia County Court Records: Deed & Will Abstracts of Lancaster County, Virginia, 1654-1661, p. 94). The fact that Henry was listed as a "Planter" indicates that he had chosen to make Virginia his home, that he owned land, and that he was apparently making a living raising cattle. Exactly what land he owned, where, and how and when he acquired it, has not been determined. A check of early Lancaster County tithable records does not reveal anyone named Culpeper, Culpepper, or Colepeper. This does not mean that Henry did not live in Lancaster County, just that he was not taxed for being a property owner. This same document is also referenced in Beverly Fleet's Virginia Colonial Abstracts, Vol. 1, Lancaster County, Record Book No. 2, 1654 - 1666. John Colepeper served "as a witness to a meeting of the parishoners of Lancaster Parish and Pieankitank for the final ordering of all differences betwixt the 2 parishes concerning the bounds of the sd parishes should be and extend according to an order of the County Court bearing date 10th day of Sept 1657." This meeting was recorded on 20 May 1660. The area of discussion at the meeting is the part of Lancaster County across the Rappahannock River in what is now Middlesex County. Middlesex County was formed from Lancaster County in 1673. The Pianketank River (just mentioned) divides present Middlesex County from Mathews County. The records of Mathews County were burned during the Civil War, but Middlesex County, on the other hand, has excellent records, including the Christ Church Parish records. The Middlesex records are probably too late to be of much use. Lancaster County records have survived, for the most part, from the beginning of the county in 1652, and should be studied further. Lancaster County, at the tip of the Northern Neck, was a home base of the Northern Neck Proprietary. Bill Russell has suggested that Thomas Culpeper of the Middle Temple, son of John of Feckenham, may also have lived in the Lancaster County area from 1649 until his death in 1652. For most of this time the area would have been in Northumberland County, the parent county of Lancaster County. Thomas was one-seventh proprietor of the Northern Neck under the charter of 1649. A Henry Culpeper and a John Culpeper were both listed as "Shippers by the Defence," which was bound from London for New England 10 May 1664 - 30 June 1664. Also mentioned was Sir William Peake, who was perhaps the Sir William Peake who was Lord Mayor of London a few years later, in 1667. (The Complete Book of Emigrants 1661-1699, p. 64 by Peter Wilson Coldham, Genealogical Publishing Co., Inc). It is difficult to say which John Culpeper this might have been, who was traveling with Henry. There were as many as three Johns in Virginia and neighboring Albemarle, NC, about this time: John (born 1606), John (born 1633, son of Thomas and Katherine), and John (born 1640's, of Albemarle). But it doesn't necessarily matter which John it was, as all three may have been related, and this record seems to connect Henry to this branch of the family, which is the descendants of John Culpepper of Feckenham (born 1565) and and his wife Ursula Woodcock. No record has been found of Henry's marriage to Elizabeth. But evidence suggests that her maiden name was probably Greene. By 1667 or prior, Henry had moved to Lower Norfolk County, VA. The deeds set out above are what we have been able to glean about him from the early Lower Norfolk records. It is important to note that Henry signed all of the above deeds with a distinct handwriten or script "H," suggesting that he was literate, and probably educated abroad. There are no further deeds in Lower Norfolk County signed with this mark after 1675. This writer has found that each of the first three Henry Culpeppers in Lower Norfolk / Norfolk County used a distinct mark in signing his deeds, and has used these marks to distinguish between the three men. There are no further records on this Henry Culpepper or his wife Elizabeth in Lower Norfolk County after 1675, and he is assumed to have died in the few years following that date. As of July 10, 2011, the Y-DNA of 117 Culpepper males has been tested, and 80% are closely related. Based upon tradtional genealogical research, we have determined that Henry Culpeper of Lower Norfolk, VA is the most recent ancestor that the 80% all have in common, and thus Henry has been proven to be the progenitor of most American Culpeppers. Virginia County Court Records: Deed & Will Abstracts of Lancaster County, Virginia, 1654-1661, p. 94. The last part of a document pertaining to the estate of Richard Russell contained in The Lower Norfolk County Virginia Antiquary, Peter Smith, NY, 1951, Vol. 4, pp. 112-113. From the 1850 census, it is not clear that Alice was the mother of Daniel M., she may have been his step-mother. Daniel was a wheelwright in Norfolk in 1850. Daniel was a private in the elite St. Bride's Cavalry, Co. F, 15th Virginia. This was one of the largest and best equipped calry companies in the Confederate service, with skilled and determined men and excellent horses. The men came principally from the St. Brides Parish of old Norfolk Co., and from that obtained its name. This unit saw much action in many battles. Daniel was killed in a bloddy cavalry charge at the Battle of Fredericksburg, VA in 1862. Jno. A. Culpepper, 11, M, Wh, VA.
John A. Culpepper; copper smith; Pearl corner Holliday; Portsmouth VA; 1890. John A Culpepper, White, Male, married Lauretta Whitley in 1893 in Pasquotank Co., NC. 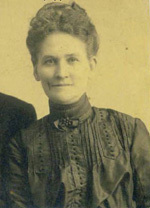 Lauretta Culpepper, Wife, Wh, F, Feb 1872, 28, Md-7 yrs, ch 0/0, VA/VA/VA. Elton W. Beale, Boarder, M, Wh, 21, S, VA/VA/VA, Clerk-Rail road Office. 1840 Census* 1 Jun 1840� Zachariah was listed as the head of a family on the 1840 Census on 1 Jun 1840 at Portsmouth, Norfolk Co., Virginia. Zach. Culpepper, 1 M20-30, 1 F15-20, 1 F60-70, 1 Slave. Zacharias Culpepper and Mary Simcoe married in Norfolk Co., VA., on 8 Sep 1853. 1840 Census 1 Jun 1840� Margaret was probably a free white female, age 15 and under 20, in Zachariah Owens Culpepper's household, on the 1840 Census on 1 Jun 1840 at Portsmouth, Norfolk Co., Virginia. William A. Culpepper; Portsmouth Orphan Asylum; supt; Swimming Point; Portsmouth VA; 1890. Biography* � Holabie and Mary Frances had 7 living children: Harry Edward, Charles Owens, William Zachariah, Holabie Saxon, Jr., Hilda Simcoe, Pearl Clitheroe, & May. Alexander W. Culpepper, Carpenter, M, Wh, 54, S, VA/VA/VA, Carpenter-House. Alexander Culpepper, Boarder, M, Wh, 64, S, VA/VA/VA, Not able to work-Crippled. Age 2 years, 6 months. 1840 Census* 1 Jun 1840� Jesse was listed as the head of a family on the 1840 Census on 1 Jun 1840 at Portsmouth, Norfolk Co., Virginia. Jesse Culpepper and Edith S. Brickhouse married 10 Sep 1838 in Northampton Co., VA.
Jesse Culpepper, 1 M5-10, 1 M10-15, 1 M15-20, 1 M30-40, 1 F0-5, 1 F10-15, 1 F15-20, 11 free coloreds, 4 slaves. Mary D. Bricklove, 3, F, VA.
Edith Culpeper, 50, F, Wh, Keeping house, VA.
in the second deed, from the 1760's, the same land is deeded by Agnes (or perhaps "Agra" -- hard to read)) Culpepper and a William Adams to a second party. This is a theory based on circumstantial evidence and family tradition from the Adams family, that Agnes married a Culpepper after her first husband James Adams died. E-mail written 6 Jun 2006 to Lew Griffin from Wallace Adams-Riley, e-mail address. 1840 Census 1 Jun 1840� Edith was probably a free white female, age 15 and under 20, in Jesse Culpepper's household, on the 1840 Census on 1 Jun 1840 at Portsmouth, Norfolk Co., Virginia. Edith Culpepper, Aunt, Wh, F, Aug 1820, 80, Wid, VA/VA/VA. Edith Culpepper, Other, F, W, W, 60, VA/VA/VA. Edith Culpepper; widow Jesse; 718 Washington; Portsmouth VA; 1890. 1840 Census 1 Jun 1840� Alexander was probably a free white male, age 10 and under 15, in Jesse Culpepper's household, on the 1840 Census on 1 Jun 1840 at Portsmouth, Norfolk Co., Virginia. Alexander G. Culpepper and Laura Whitehead married in Norfolk Co., VA, on 17 Mar 1851. Nathn E. Whitehurst, 14, M, Wh, VA.
1889, lists Laura A. Culpepper, widow of Alexander P.
1840 Census 1 Jun 1840� Jesse was probably a free white male, age 5 and under 10,in Jesse Culpepper's household, on the 1840 Census on 1 Jun 1840 at Portsmouth, Norfolk Co., Virginia. Biography* � In 1860, Jesse was an attorney at law in Jasper, FL. From 29 Jan 1859 to 2 May 1860, there were 4 deeds (E-263, E-443, E-445, F-61) granted to Jess W. Culpepper by L.P. Dunn and Pat S. Hacks. On 7 Jul 1863, J. W. Culpepper granted a deed (F-369) to H. P. Stewart. In 1880, he was president of a street car company in Atlanta. Jesse W. Culpepper and Eliza M. Orme, W, 6 Nov 1858, Fulton Co., GA, Book A-179. Research note* 1 Jun 2004� Reuben is certainly a descendant of Robert Culpepper Jr. of early Norfolk [ID 678]. And he is probably a descendant of Robert's son Sampson. But his exact connection to this family remains to be determined. Reuben is found in the city of Portsmouth in early Personal Property Tax records, between 1843 and 1846, with the family of Joseph S. Culpepper. William Culpepper, 2, M, VA.
R Culpepper, grocer, 701 W Trade, 703 same location, Charlotte, NC, 1891, 1892. From his Confederate pension application, we learn that Robert was employed at the beginning of the Civil war "in the Gosport Navy Yard, but upon the evacuation of Portsmouth by the Confederates, this company of men were sent to Charlotte, North Carolina and employed there by the Government in the manufacture of Ordnance Stores, then these men were organized into a Military Battalion, and were frequently called from their post of duties to repel raiding armies of the enemy. The Library of Virginia, Confederate Pension Rolls, Veterans and Widows, at http://eagle.vsla.edu/conpen/. Robert Culpepper, Lodger, M, 64, S, VA VA VA, Machinest-RR Shops. Albin T. Trant, Nephew, M, Wh, 3, sng, VA/VA/VA. Oliver Gregory Culpepper, Male, was born 1883 in Mecklenburg Co., NC. Wm E Culpepper, letter carrier, 10 ex Fifth, Charlotte, NC, 1889, 1890. Lester Kenneth Culpepper, age 24, 1011 Washington St, Petersburg, Dinwiddie Co., VA, born 7 May 1893 in Charlotte, NC, Sheet metal worker at DuPont Powder Co. in Hopewell, VA; No dependents, Single, Caucasian, No prior military service, No claim of exemption from draft, Medium Height, Medium Build, Gray eyes, Blond hair, Mostly bald, no physical disqualifications; registered 5 Jun 1917 at Petersburg, VA.
Oliver Gregory Culpepper, 20 Winifred Place, Charlotte, NC; age 36, born 19 Mar 1883, White; Employed as a mechanic by Stuart W. Cramer on Court House Square, Charlotte, NC; Nearest relative is W. E. Culpepper, father, 20 Winifred Place, Charlotte, NC; Medium height, medium build, gray eyes, light hair and no disabilities. Registered 12 Sep 1918 in Charlotte, Mecklenburg Co., NC. 1840 Census* 1 Jun 1840� Joseph was listed as the head of a family on the 1840 Census on 1 Jun 1840 at Portsmouth, Norfolk Co., Virginia. Research note* 1 Jun 2004� That Joseph S. Culpepper was the son of Joseph P. Culpepper is a matter of conjecture. BEACON - 1837, December 28, page 29 - On the 25th by the Rev. Thomas Hume [pastor ofCourt Street Baptist Church], Mr. Joseph S. Culpepper to Miss Adeline, youngest daughter ofThomas Brooks, Esq. Adeline, youngest daughter of Thomas Brooks, (American Beacon and Norfolk and Portsmouth Daily Advertiser, Thursday, December 28, 1837, p.2, c.4.). Joseph Culpepper, 2 M20-30, 1 F0-5, 1 F15-20, 2 slaves. + Culpeper, Fannie W 84872864, Mar. 4, 1845 - Jan. 31, 1921. Portsmouth Parish: Joseph Culpepper, Scotts Creek, one male. James Richardson, 17, M, App. Blacksmith, VA.
1840 Census 1 Jun 1840� Adeline was probably a free white female, age 15 and under 20, in Joseph S. Culpepper's household, on the 1840 Census on 1 Jun 1840 at Portsmouth, Norfolk Co., Virginia. Biography* � Adeline was the youngest daugther of Thomas Brooks, according to the newspaper announcement of her wedding. Nellie Culpeper, F, S, W, 21, VA/VA/VA. 1840 Census 1 Jun 1840� Margaret was probably a free white female, under five years old, in Joseph S. Culpepper's household, on the 1840 Census on 1 Jun 1840 at Portsmouth, Norfolk Co., Virginia. Joseph S. Culpeper; Culpeper & Turner; agent for Old Dominion Steamship Co.; Water between Nebraska and Church; 100 Bute; Norfolk VA; 1890. Joseph S. Culpepper (24) and Fanny S. Wills (22), married in Isle of Wight Co., VA, on 25 Jan 1867. Flavius Wills Culpeper, 256 W. Brite St, Norfolk, Norfolk Co., VA, age 45, born 22 Mar 1873, White, Employed by North Carolina Pine Emergency Bureau in Washington, DC; Nearest relative: Mrs. J. S. Culpeper (mother), 256 W. Brite St, Norfolk, Norfolk Co., VA, Tall Height, Slender Build, Brown eyes, Gray hair, no physical disqualifications; registered 12 Sep 1918 at Norfolk, VA.
William Moore Culpeper, 256 W. Brite St, Norfolk, Norfolk Co., VA, age 41, born 27 Oct 1876, White, Traffic Agent for Southern Railway Co. in Norfolk; Nearest relative: Mrs. J. S. Culpeper, 256 W. Brite St, Norfolk, Norfolk Co., VA, Medium Height, Medium Build, Dark Brown eyes, Dark Brown hair, no physical disqualifications; registered 12 Sep 1918 at Norfolk, VA.
+ Culpeper, William Moore 84893511, Oct. 27, 1876 - Jun. 19, 1921. + Culpeper, Rhoda Stewart 84893662, Jul. 28, 1887 - Mar. 4, 1973. James Talbot, Other, M, S, Black, 33, Laborer, SC/SC/SC. Moore Culpepper, Son, Wh, M, Oct 1876, 23, S, VA/VA/VA, Clerk R.R. Mills Wills, Brother-in-Law, Wh, M, Oct 1846, 53, S, VA/VA/VA, R.R. Clerk. 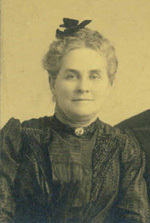 Mary Davis, Granddau, F, Sng, Wh, 1, TN/MS/TN. David J. Culpeper, Head, M, Wh, 38, M/S?, TN/VA/TN, Accountant for Ins. Co.
Rosa C. Phillips, Aunt, F, Wh, 57, wid, ch 0/0, VA/VA/VA. David J. Culpepper, Grandson (of Mary), M, Wh, Jun 1871, 28, Sng, TN/TN/TN, Clerk. Rowland H. Culpepper; Employed as chief cotton clerk and manager of cotton department by Wm. D. Cleveland; Resides at 317 Polk; Houston, 1882-1890; Working for Rowland H. Culpepper: Mary Anne Fleming, 1884-1885; Jennie Hall, colored, 1884-1885; Susan Adams, colored, 1886-1887; William Owens, cook, 1887-1888; Lula Brown, colored, 1887-1888; Miss Mary Freiberg, 1889-1890. Rob E. Culpepper, Boarder, M, Feb-1846, 54, S, VA VA VA, Machinist. Kate Culpepper and Francis M. Moore, Portsmouth married in Norfolk Co., VA, on 25 Oct 1869. George Lee, 28, M, Black, Laborer, NC. Will* 25 Apr 1811� He made a will at Norfolk Co., Virginia, on 25 Apr 1811, naming as heir(s) Daniel Culpepper, John Culpepper of Calvert Co., MD, Asa Culpepper, Mary Culpepper, Martha Culpepper and Marina Culpepper. Research note* 1 Jun 2004� Daniel Jr. is a known son of Daniel Culpepper, based on tithable records. The fact that this Daniel who died in 1811 was a cooper also supports that he was the the son of Daniel Sr. and grandson of Robert Culpepper Jr., who was also a cooper. Trades tended to be passed on from one generation to the next in a given family. Aaron Brite, executor of Richard Etheridge of Camden Co., to Peter Culpepper, for £72, 50 acres adjacent to Daniel McCoy and Daniel McPherson. Witnesses: Daniel McPherson and Jesse Etheridge. Suggest looking for a will or estate of Daniel McCoy in Camden Co. NC or Norfolk Co. VA.